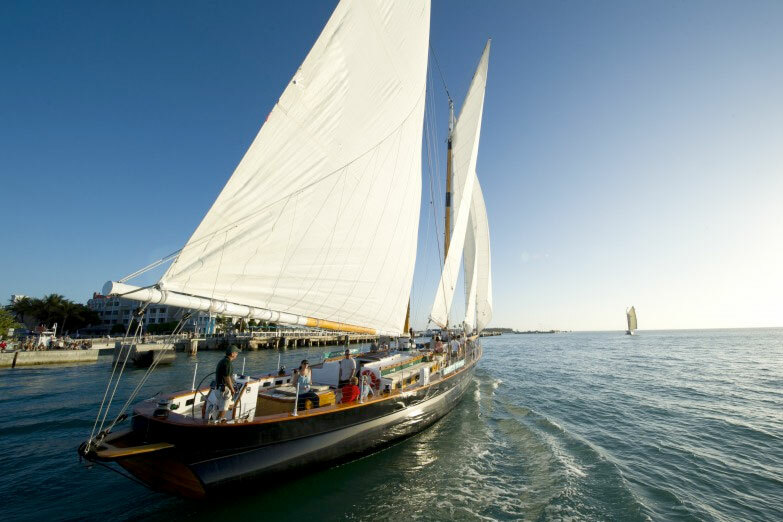 Offering our most premium sailing experience, Schooner America 2.0 is the newest, largest, most elegant vessel designed for Classic Harbor Line. 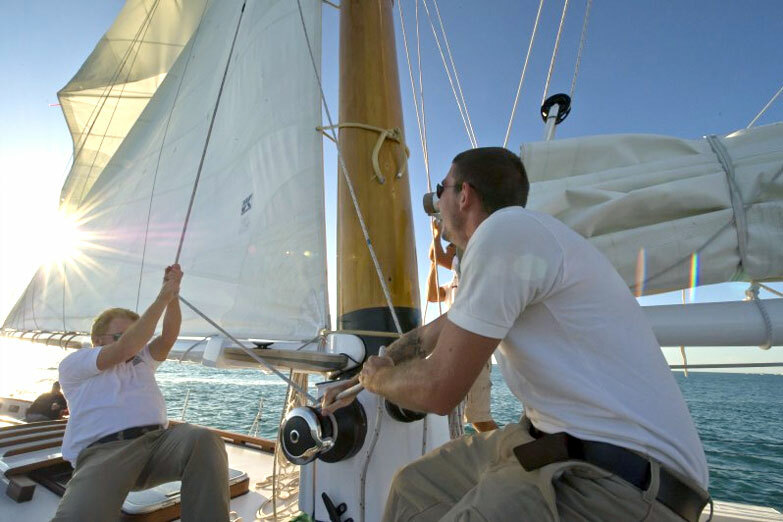 Added to the Classic Harbor Line fleet in 2011, America 2.0 offers the most exceptional day sailing one can find. 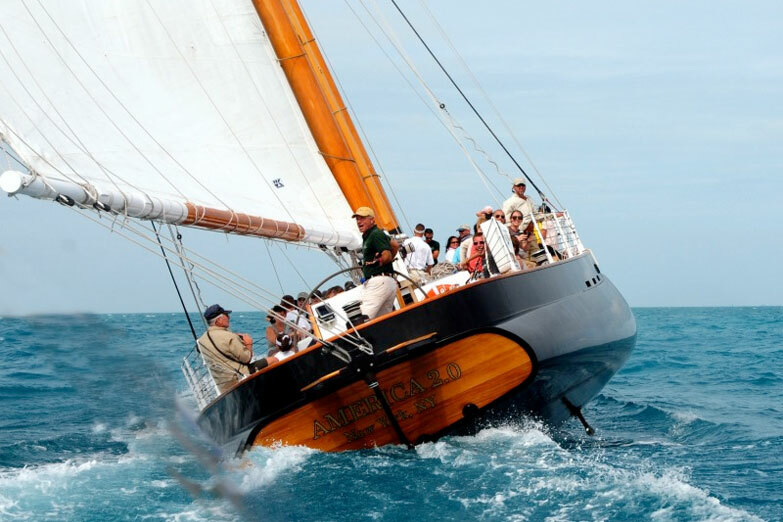 She is the fastest, most refined, and the most comfortable schooner of the fleet. 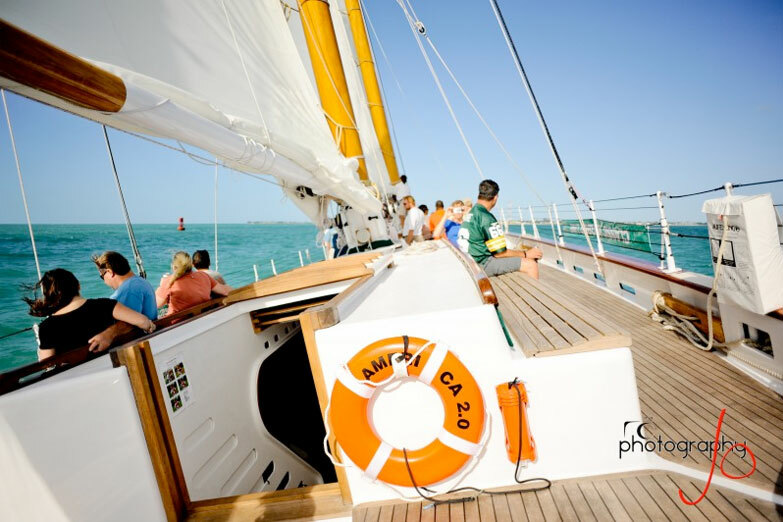 The past meets the future aboard Classic Harbor Line’s Schooner America 2.0. 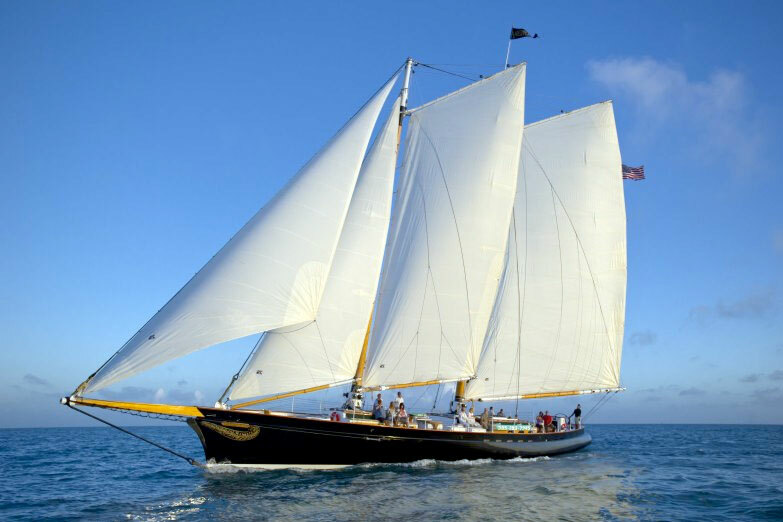 She is modeled after one of the most famous maritime icons of all time, the winner of the first “America’s Cup” of 1851, Schooner America. 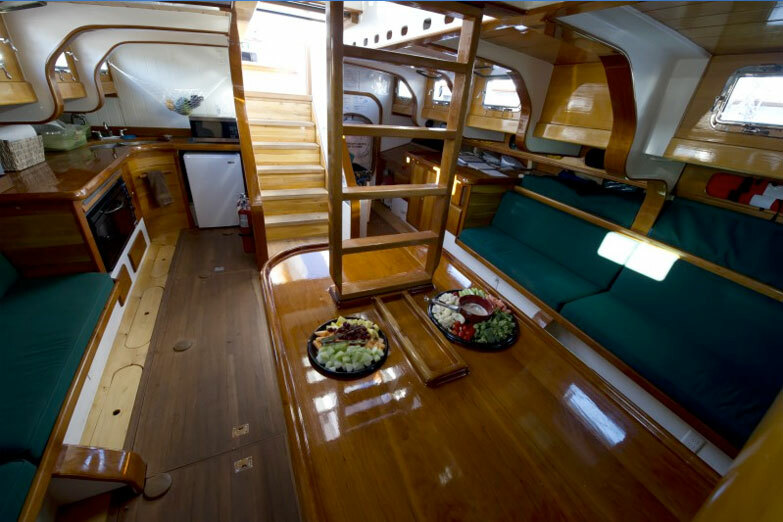 The “2.0” aspect of the vessel refers to the eco-friendly nature of both her cutting-edge construction materials and her propulsion system created by the designers at Scarano Boat Building, of Albany, New York. Rather than finding a diesel-consuming engine room below decks, you find a large battery bank providing electric propulsion with smaller diesel assist-generators. If you peeled away her hull, rather than finding heavy fiberglass or steel, you’d find an extremely durable 3-layered composite: a sandwich of cedar over balsa core, laminated with an epoxy resin. Split on a horizontal plane, this light 3-layer composite makes up the upper 70% of the hull while the lower 30% is constructed of marine-grade aluminum. Furthermore, rather than a heavy wooden rig aloft, you find carbon-fiber masts, booms, and gaffs. Together, these strengthening and lightening components of construction, coupled with her modernized power-sourcing, America 2.0 is provided with the ability to move through the water more effortlessly, efficiently and with minimal environmental impact. 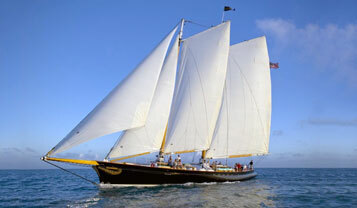 Schooner America operates in Key West Fl November through May and May through October in NYC. “Great cruise! Beautiful boat, excellent crew and captain. Very relaxed cruise with plenty of wine & beer and great snacks. Not crowded, plenty of room to move around. 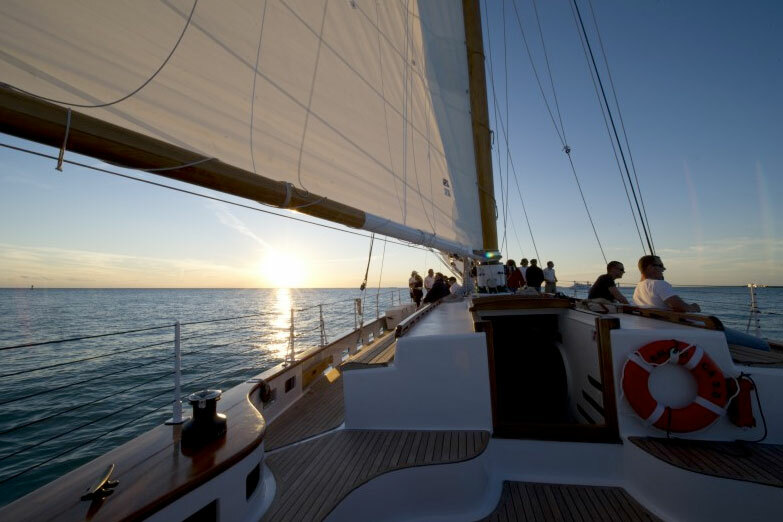 You can't go wrong with this cruise!